*Rounded off to the nearest 10,000 pixels. *Number of available AF points, Dual cross-type AF points, and Cross-type AF points vary depending on the lens used. 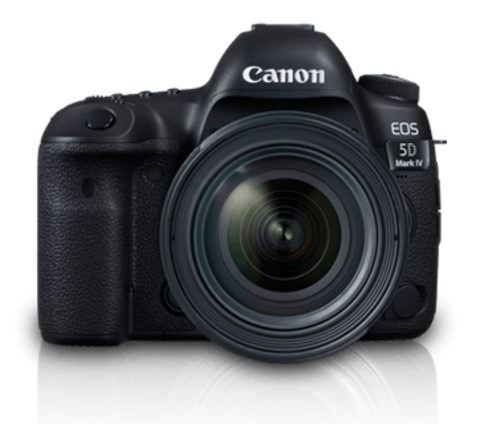 ISO Auto, ISO 100 - ISO 32000 manual setting (in 1/3- or whole-stop increments), and expansion to L (equivalent to ISO 50), H1 (equivalent to ISO 51200), H2 (equivalent to ISO 102400) provided. 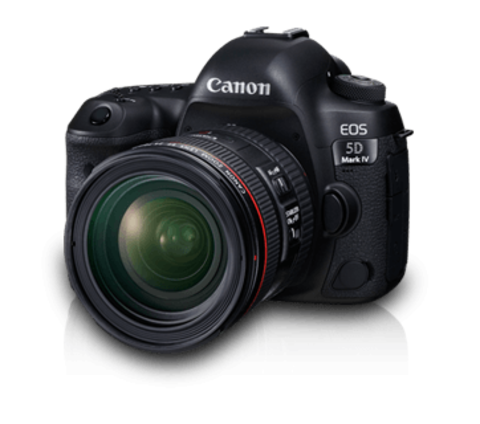 *If highlight tone priority is set, the settable ISO speed range will be ISO 200 - ISO 32000. 1/8000sec. to 30sec. (total shutter speed range; available range varies by shooting mode), Bulb, X-sync at 1/200sec. 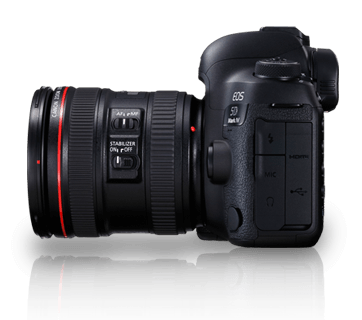 *Continuous shooting speed decreases during Anti-flicker shooting, during Dual Pixel RAW shooting, during Live View shooting with Servo AF, or with Digital Lens Optimizer set. 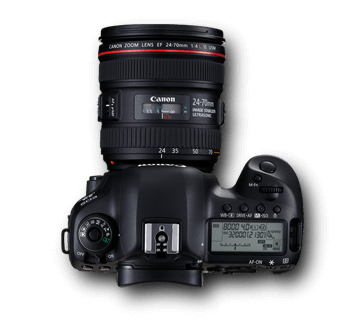 *The maximum continuous shooting speed during high-speed continuous shooting may decrease depending on the power source type, battery level, temperature, flicker reduction, Dual Pixel RAW shooting, Digital Lens Optimizer, shutter speed, aperture, subject conditions, brightness, AF operation, lens, flash use, shooting function settings, etc. *Based on Canon&apos;s standard testing CF card (Standard: 8 GB / High speed: UDMA Mode 7, 64 GB) and Canon&apos;s testing standards (high-speed continuous shooting, ISO 100, Standard Picture Style, no IPTC information appended). *Figures in parentheses apply to an UDMA Mode 7, with a CF card based on Canon&apos;s testing standards. *"Card Full" indicates that shooting is possible until the card becomes full. * Motion JPEG and ALL-I available only when MOV is set. * IPB (Light) available only when MP4 is set. 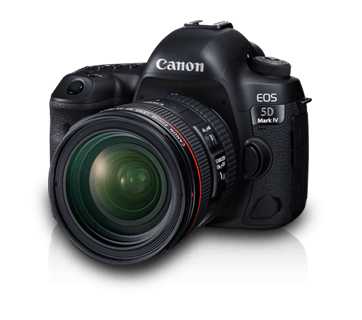 *The settable range is different for HDR movie shooting and time-lapse movie shooting. Image without information can be output. *Auto / 59.94i / 50.00i / 59.94p / 50.00p / 23.98p selectable. *When [24.00p: Enable] is set, the movie image is output at 24.00p via HDMI. Bottom equipped with positioning hole to prevent rotation. Not possible during movie shooting. Frame Grab can be saved as JPEG image. Images to be printed can be sent to a printer supporting Wi-Fi. Automatic transfer, Transfer selected images, Transfer with SET, and Transfer with caption. 1sec., 5sec., 10sec., 15sec., 30sec., 1 min., 2 min., 5 min. *AC power usable with household power outlet accessories. *With a fully-charged Battery Pack LP-E6N, Movie Servo AF disabled, and Full HD 29.97p / 25.00p / 24.00p / 23.98p IPB (Standard). Approx. 150.7 x 116.4 x 75.9mm / 5.93 x 4.58 x 2.99in. Approx. 38.4 x 21.0 x 56.8mm / 1.51 x 0.83 x 2.24in. 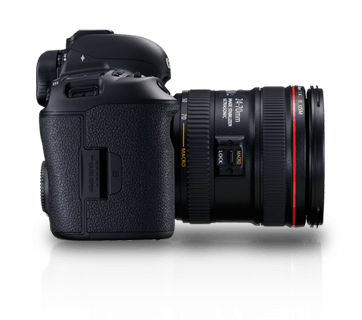 If a problem occurs with a non-Canon lens attached to the camera, consult the respective lens maker.